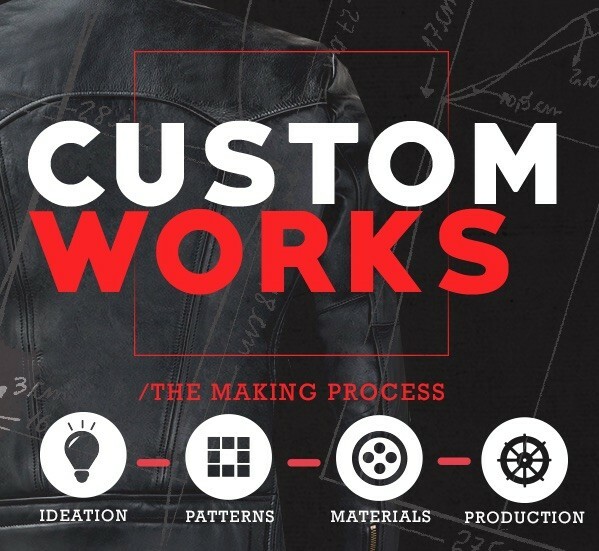 Before paying for your custom jacket, we will need to you to compile as much info as you can on the leather jacket you would like us to make for you. Clear patterns if it is your own creation. You can also order any of our styles for both sexes. 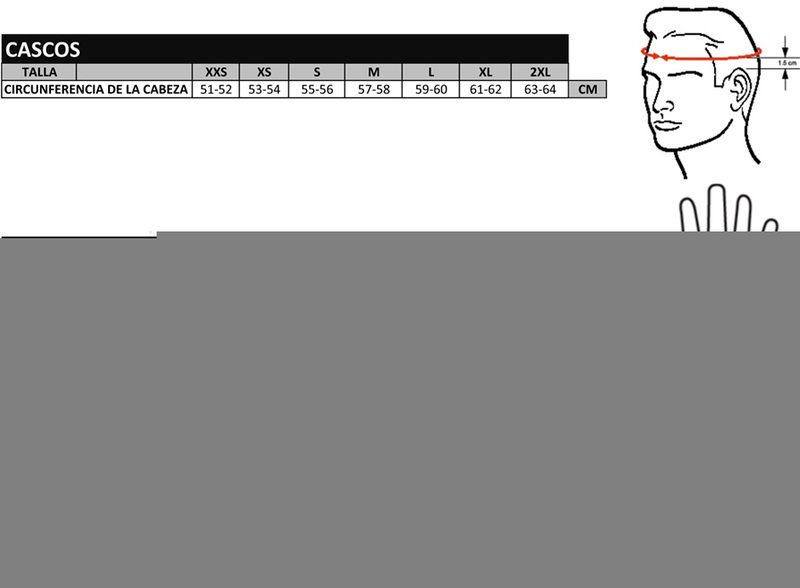 We also offer custom measurements for the chest, waist, sleeve, shoulder width and jacket length. 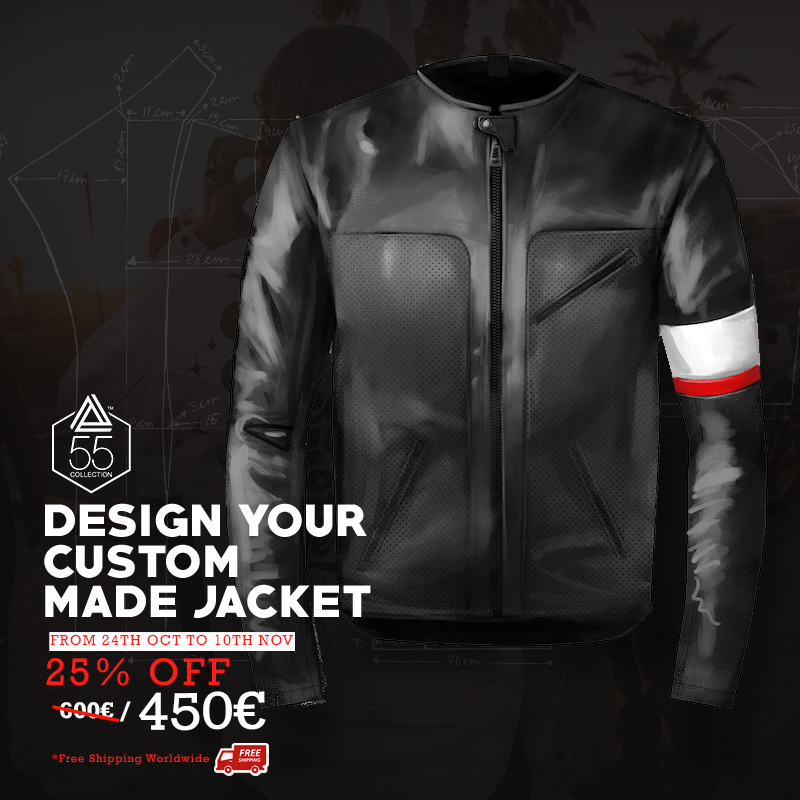 You can take these measurements from your own body if you would like us to tailor the jacket to your shape or from a jacket you already own if you need us to copy those measurements instead. Alternatively, you can go by our size guide and order one of our standard sizes. When you gathered as much information as possible, please email it to us at info@55collection.com and we will contact you to confirm we can make the jacket. 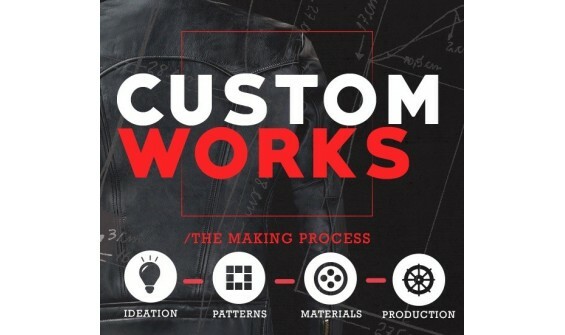 You can then return to this page and make the payment for your custom leather jacket.